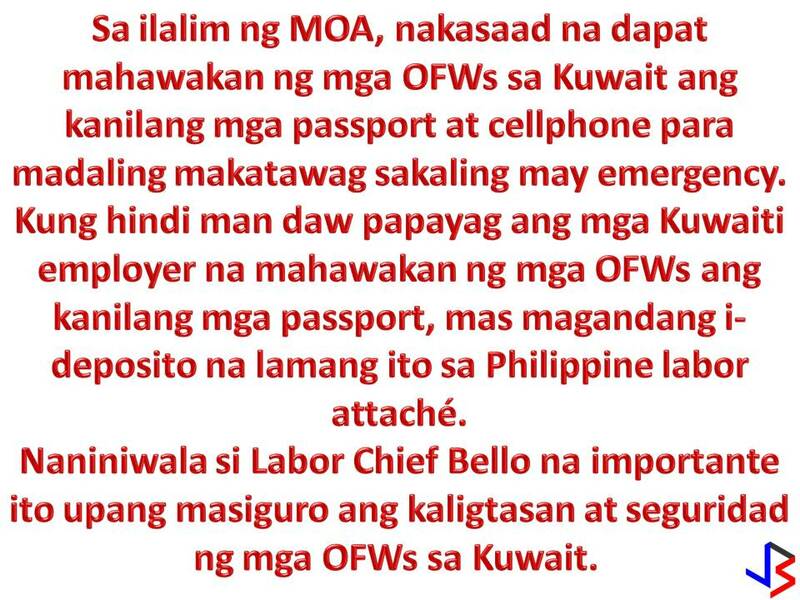 THOUGHTSKOTO Thoughtskoto : OFWs' Right to Keep Their Passport, Cellphone: A Solution to Kuwait's Problem? 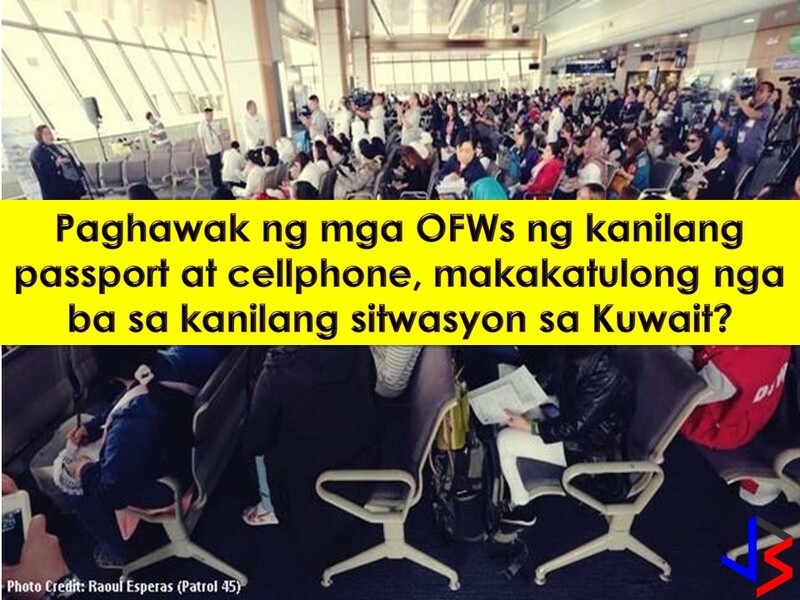 OFWs' Right to Keep Their Passport, Cellphone: A Solution to Kuwait's Problem? Kuwait is one country in the Middle East as a top destination for Filipino workers. As of 2016, there are around 240,000 OFWs in Kuwait. But don't you know that since 2016, close to 200 Overseas Filipino Workers (OFWs) died in Kuwait? Aside from this OWWA reported that in 2017 alone, 1,549 Filipino workers abroad reported having been maltreated by their employers. It also said 65 Filipinos were raped while 243 others were sexually abused. The Kuwaiti government said, that the case of Joanna Demafelis, the Filipino maid who was found in the freezer is just an isolated case. In spite of this, the government is planning to talk with Kuwaiti counterparts at the end of this month to finally sign an agreement that will protect OFWs in their country. According to Labor Undersecretary Claro Arellano, they are requesting to Kuwait government that negotiation should be done in Manila and as of now, they are waiting for a response. He said the government hopes to sign a memorandum of agreement (MOA) on labor cooperation by March. The proposed MOA has been pending for the last three years. 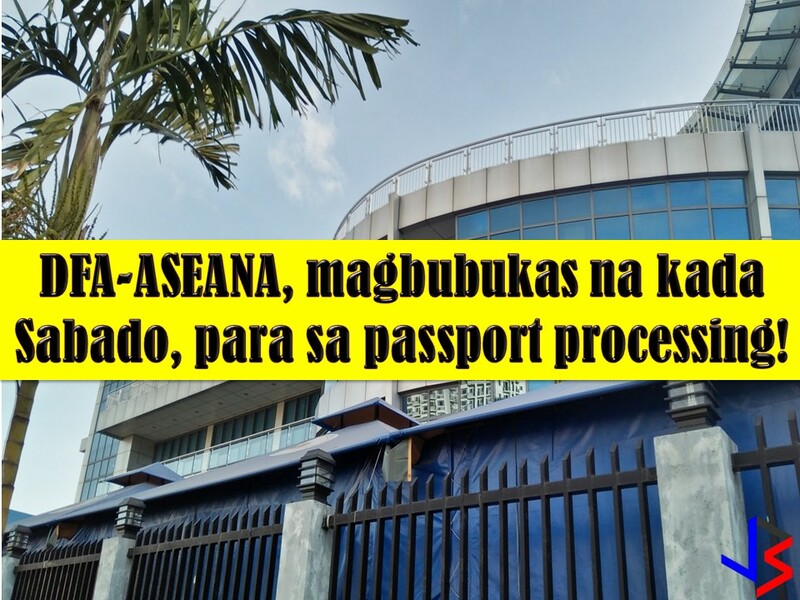 Under the proposed MOA, it is emphasized that OFWs should keep their passport and cellphones which are often confiscated by their employers. 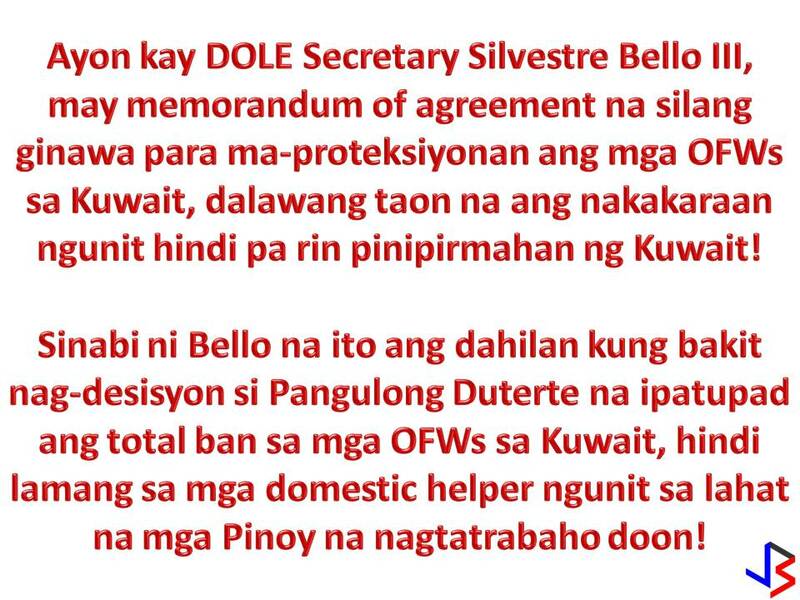 Labor Secretary Silvestre Bello III said it is vital to guarantee the safety and security of OFWs in Kuwait and wherever they are in the world. Every year, Kuwait is hiring Filipino workers to fill in the shortage of their local employment.